The last month has kept me busy. Between a recent toddler birthday, a new big girl room, doctors appointments, and prepping for Baby #2…not to mention teaching three days a week and being pregnant for all seven of them, I’m pretty impressed with myself for being awake right now. It’s 8pm. Sorry for being MIA online lately. I have post drafts waiting and my twitter timeline is so long, I’m pretty sure it dates back to the Revolutionary War. I have more posts in my blog reader than I care to admit, which makes me feel a little guilty. But when things get hectic around here, or I feel tired, my online life is the first thing I give up. I haven’t needed to write as much – I feel relaxed and for the first time in a while, I’m able to get through my day without analyzing my feelings, and though I wouldn’t call my days “easy”, there does seem to be an ease about them…or at least a slower pace. I’ve been going to bed earlier, taking more naps, and spending my down time actually resting instead of cranking out posts or stressing over completing projects. If you keep up with me on a regular basis, I’m telling you all of this so you won’t worry. I’m good. Really. Just pregnant and tired and giving myself lots of self-care. 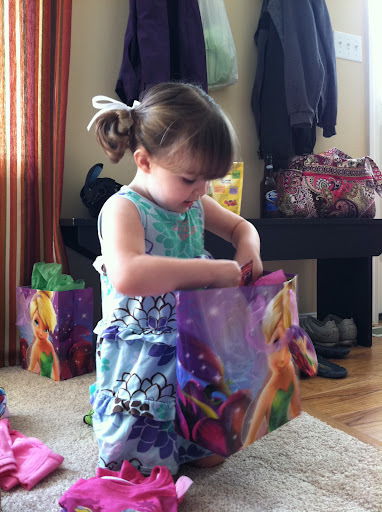 Perhaps I can make it up to you with pictures from DoodleBug’s third birthday party? What if I include baby pictures so you can marvel at how big she’s grown? 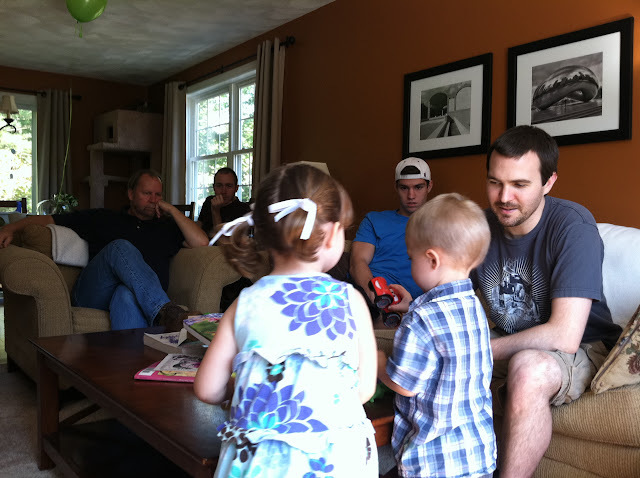 And this year…a small party with her favorite people. 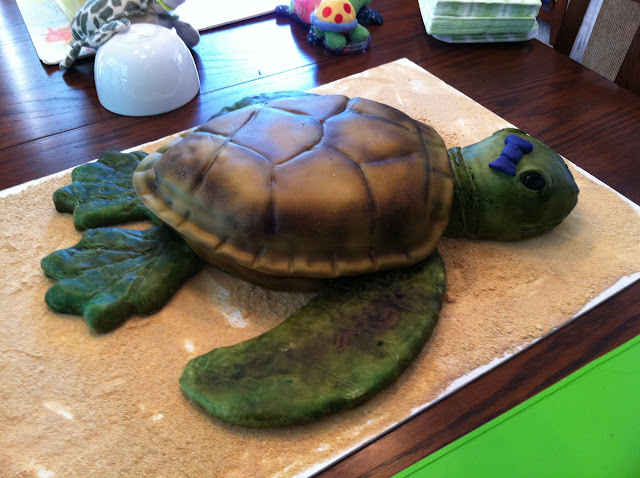 Her sea turtle cake, lovingly made by my best friend. 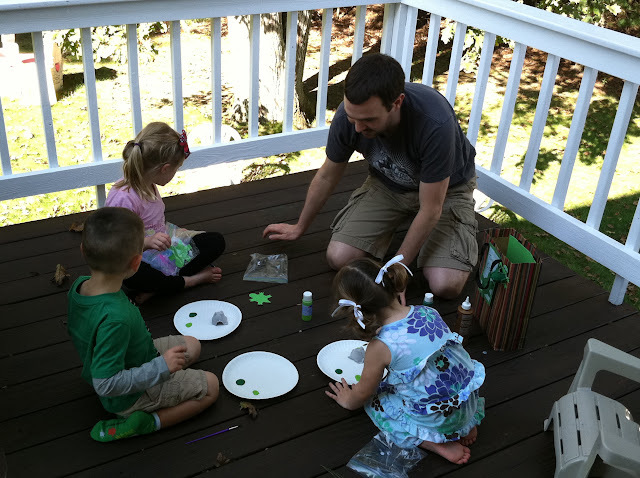 Making a turtle craft with Daddy and friends. And playing tea party...with all the men at the party.